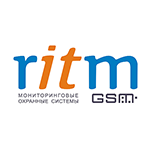 Ritm company has been on the Russian market for more than 10 years. Its core activities include the development and manufacture of satellite monitoring systems for immovables, vehicles, municipal services and hazardous industrial facilities. Ritm trackers are intended for moving and stationary units tracking. Company partners are located all over Russia with representatives also present in Belarus, Georgia and Kazakhstan.